Dr. Liviu Popa-Simil, Nuclear Engineer, Physicist, Director of Los Alamos Academy of Sciences. He got B.Sc. in fast breeder reactors, M.Sc. in nuclear engineering, plasma-laser selective chemistry, and PhD in nuclear, atomic, and molecular materials physics at National Institute for Atomic Physics, Bucharest. He worked at Romania’s National Institute for Physics and Nuclear Engineering, then at Los Alamos National Laboratory, having 500+ peer reviewed publications, seminaries and conferences, 10+ invention patents, book chapters and published books. 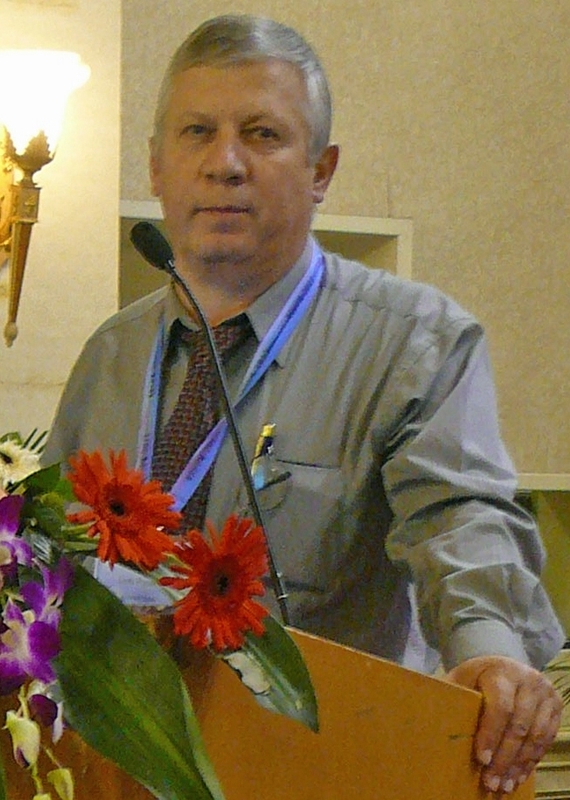 He is a member of ANS, MRS, IEEE, ASNT, etc., received the Romanian prize for excellence in 2011, Marquis Who is Who award, etc. Nuclear energy development is dependent on new nanoengineered materials incorporating heterogeneity by design, in order to allow higher performances and safety. Fission products occurrence inside nuclear reactors are responsible for low nuclear fuel burnup and fuel damage . Replacing the actual homogeneous Urania ceramic structure with a Ceramic –liquid metal micro structure that self-separates the fission products by trapping them into a drain liquid that may be NaK, PbBi (LBE) preventing them to damage the nuclear fuel and allowing easy fuel reprocessing. Another development relies on nano-cluster properties  of enhanced separation of transmutation products resulted from Th or Pu cycle, or production of radioisotopes, that can be used inside nano-clustered-hetero-structure, made of nanobeads of actinides washed by a drain liquid with affinity for the transmutation products resembling a frit. Washed by the nanoflow. In direct nuclear energy to electricity conversion supercapacitor-like devices, the end of range of the nuclear particles create large lattice damage , that can be improved using liquid –solid hetero-structures as LiH on MWCNTs that have increased robustness to radiation damage. and sensitive lines. 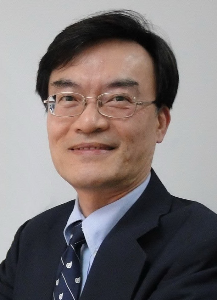 Dr. Yang is a Chair Professor of Engineering Science at National Cheng Kung University (NCKU) in Taiwan. He received his Ph.D. degree in Mechanical Engineering from University of California at Berkeley in 1982. From 1982 to 1993, he was affiliated with Rocketdyne in Los Angles working on the Space Shuttle Main Engine. He has been with the NCKU since 1993 after 11 years’ service in USA. His past academic services include Department Chair, Director General of Research and Services Headquarters and University Librarian at NCKU. His research interests include Microfluidics/Nanofluidics, Fluid and Thermal Sciences, Computational Physics, Energy and Nanotechnology. He has published more than 140 papers in archival Journals. In this presentation, I will introduce our recent results: (1) utilizing fluidic technology with electrokientic effects to detect bio-samples and (2) preconcentrations by electrokinetic transport in nanospaces. Examples are using paper-based analytical devices (µPADs) to detect Albumin, Creatinine, Glucose, Aspartate Aminotransferase (AST) and Alanine Aminotransferase (ALT) from human blood. The integrated system to perform these tests will be introduced in a portable platform. Chih-Hsin Shih has completed his PhD from the Ohio State University. He is the associate professor in the department of chemical engineering, Feng Chia University, Taiwan. A nucleic acid test (NAT) is a technique used to detect a particular nucleic acid, virus, or bacteria. In recent years, it has been applied to many applications such as clinical diagnoses, species identification, and food safety. However, in the conventional testing operation, the testing procedure for NAT is usually labor-intensive and time-consuming. It also required well-trained technician and the transfer of testing sample could result in nucleic acid contamination. Therefore, a user-friendly and automated assay process to conduct NAT is of great importance. The major assay process for the NAT includes extraction, amplification, and detection. In the past few years, many microfluidic functions were developed for sample preparation and process automation. Kido et al. developed a cell-lysing approach by grinding the cell with beads. To control the movement of magnetic beads, Strohmeier et al. developed a Gas-phase transition magnetophoresis to transfer the magnetic beads through the liquid/air interface. To purify the nucleic acid, Berry et al. proposed an immiscible filtration assisted by surface tension technique. Dr Peter Docker holds the position of Senior Engineer at the Diamnd light source the UK’s synchrotron. He has 19 years experience in micro, nano and pico device and sample handling systems. His current positon involves developing such systems for sample delivery for Xray interrogation. 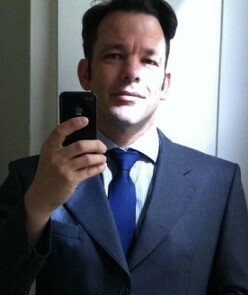 DR Gabriel Leen is a senior research fellow at the University of Limerick. He completed his Ph.D., on the Formal Verification of the TTCAN protocol (ISO11898-4), in 2002. As well as holding this position, he is the inventor and the CTO of Poly Pico Ltd in Cork, Ireland. This paper describes new and exciting applications for a technology developed by Poly Pico ltd. We describe how this pico litre sample handling system is being developed for time resolved pico litre protein crystallography investigations. The studies are planned for LCLS II at Stanford University and the European XFEL in Hamburg. Dr. Ting-Yuan Tu joined the Department of Biomedical Engineering at National Cheng Kung University (NCKU) in 2016 as an Assistant Professor. His PhD work was completed in Singapore-MIT Alliance for Research and Technology Centre in Singapore, and received the Ph.D. degree in Mechanobiology from National University of Singapore in 2015. 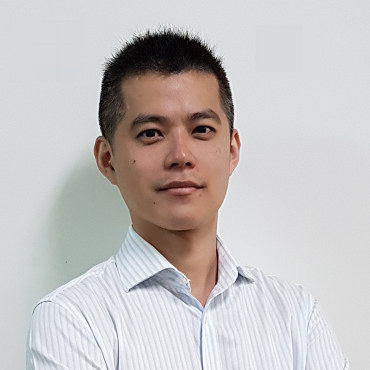 Prior to joining NCKU, he was an Application Scientist at Clearbridge Biomedics (Now Biolidics). His current research interest lies in the development of better biomimetic tumor microenvironment for cancer drug discovery, such as in vitro tumor models and 3D tumor invasive co-culture microfluidic platforms. In vitro 3D tumor model has been sought to mimic critical in vivo pathological features that could be used for discovery of therapeutic treatment. Fabricating microwells based on existing lithography/cleanroom-based approaches are often costly and time-consuming that requires laborious process [1,2]. Based on our previous work , this study presented a rapid and economical microwell fabrication methodology aimed to be conveniently incorporated with conventional workflow from biological and medical laboratories for generating in vitro 3D tumor spheroids. Ablation of CO2 laser system was capable of easily incorporating z-axis adjustment to generate microwells with wide-rage size flexibilities, the side view of microwells revealed the depth and width fabricated under different laser power and focusing plane (Fig.1A). Evaluation of tumor spheroid generated from different size of microwells was performed by CMFDA live cell staining, and hoechst nuclear staining indicated good cell viability and illustrated the shape of the tumor spheroids harvested from different size of microwells (Fig.1B). To evaluate the preliminary therapeutic response on in vitro hepatocarcinoma tumor spheroid, photo-thermal treatment through bound ConA-Silicon Carbon Hollow Spheres (SCHS) was investigated, live/dead cell staining on tumor spheroid showed the photo-thermal effect could induce cancer cell death via exposure to NIR laser, resulting in higher red fluorescence under photo-thermal therapy (Fig.1C). Preliminary therapeutic response from the hepatic 3D tumor spheroids with binding of ConA-SCHSs suggesting the current methodology combining this in vitro tumor model could serve as an effective tool for discovery of therapeutic motilities for cancer treatment. The design and manufacturing of functional soft structures, based on multiple compartments delimited and interconnected by lipid-stabilised or surfactant-stabilised interfaces, are attracting an increasing level of attention. These soft constructs have shown a great potential as minimal cells in synthetic biology, simplified model systems for biophysical and biochemical studies and smart containers for drug delivery and microreactor technologies . In recent years, microfluidic and optical methods for the manipulation of such soft interfaces have provided a substantial contribution to the design and development of novel artificial systems exhibiting interesting cell-like behaviours and functions. In this talk, I will present a number of optical and microfluidic techniques [2-5] we developed for the construction and characterisation of artificial soft structures, including droplet interface bilayer architectures and soft nanotube networks. More specifically, I will discuss how accurate flow and particle handling operations within a microfluidic environment can be used to build artificial model systems from soft interfaces, such as lipid bilayer membranes and surfactant-stabilised oil-water interfaces. The resulting architectures can display biochemical and structural properties and functionalities, similar to those seen in living cell systems. Ching-Te Kuo received the Ph.D. degree in Institute of Applied Mechanics from National Taiwan University, Taipei, Taiwan, in 2013. 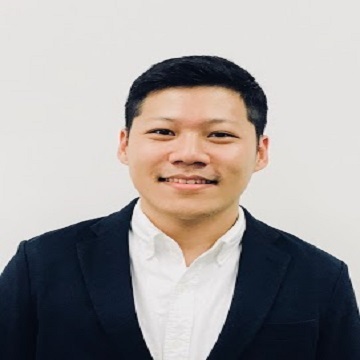 In 2013-2018, his Postdoctoral Studies, from National Taiwan University to UT Southwestern Medical Center, focused on the development of in vitro mimicking of tumor microenvironments as well as high-throughput drug screenings by microfluidics. Currently, he is a Postdoctoral Researcher at National Taiwan University. His research interests include microfluidics, system control engineering, bioinspired material, tumor microenvironment and metastasis. Synergistic combination of two or more drugs has been a major avenue targeting cancers. This regimen not only improves the therapeutic efficacy by triggering synthetic lethality in target cells but also minimizes the side effects by reducing drug doses. Therefore, the identification of optimal combination of various possible concentrations from a set of drugs presents a substantial challenge. Several approaches to optimize the selection regime have been demonstrated by various approaches; however, challenges still remain. For example, the time adopted for cell/drug preparation among the total independent screenings would last for days. In addition, the usage of standard multi-well plate assays would counter the feasibility for personalized medicine, which is inherently subject to a limited cell count from patient tumors. To address the technology gap described above, we herein present a bioinspired nanodroplet processing (BioNDP) platform for facilitating the high-throughput screening of optimal drug combinations. The platform was fabricated by a novel wax-imprinted laser direct writing, which is inspired from Stenocara gracilipes beetle’s bumpy back surfaces. Leveraging on advantages of utilizing customized liquid dispensing, cell counts and drugs adopted can be retained down to 50 cells and 200 nl for each test, respectively. We demonstrated an approximate 500-fold miniaturization of drug volumes does not impact both the in vitro and in vivo outcomes. In addition, such platform could present in vivo predictions more accurate than standard drug screening assays. Taken together, our results highlight the BioNDP platform could serve a cost-effective and high-throughput toolkit for improving pre-clinical drug screenings. Micromixing is a crucial component of microfluidic systems which require mixing reagent molecules, fluids, or species for chemical reactions, which has applications in biomedical systems, chemical reactors, and polymerization . In this study, three curved serpentine micromixers consisting of ten segments with curvature angles of 180°, 230°, and 280° were fabricated to investigate the effects of curvature angle on inertial micromixing of two fluids. In this regard, water and diluted Rhodamine B solution were pumped into the micromixers over flow rates of 400-3000μL/min. To characterize and compare the mixing performance of the micromixers and to understand the underlying mechanisms, fluorescent intensity maps and mixing indeces were utilized. According to the results, up to the Reynolds number of 150, the mixing performance of the micromixers with curvature angles of 180° and 230° was similar to each other. While the micromixer having segments with 280° curvature angle showed higher mixing index values and thus outperformed the other two micromixers. This was due to severe distortion of flow streamlines by Dean vortices and occurrence of chaotic advection. As a consequence, larger contact area was available for intermixing. Moreover, as the curvature angle of the mixing segments increased, the onset of chaotic advection took place at a lower Reynolds number, and the micromixer reached its ultimate mixing performance earlier. Above the Reynolds number of 170, no difference was observed in the mixing performance of the micromixers. In this range, the mixing index at the outlet of the micromixers had the asymptotic value of 0.93±0.02. Systematic investigation of the influence of feed emulsion parameters in the passive microfluidic system has never been carried out. We present a microfluidic system that allows production of monodisperse double emulsion (waterâ€‘inâ€‘oilâ€‘inâ€‘water) with use of sequential step emulsification chips. We investigate the mechanism of double emulsion formation on the step, taking into consideration chip geometry and fluids parameters. We find that the crucial parameters in controlling the monodispersity, size, and shell thickness of the DE are the channels geometry, size of the cores in the feed emulsion and viscosities of used fluids. 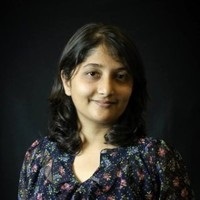 Manasi Raje is a microfluidics R&D engineer working in Bay Area, California. She is working at Shield Diagnostics and developing diagnostic devices for affordable testing of infectious diseases. She holds training in Biomedical Engineering and Electronics Engineering. Manasi has experience in the design and fabrication of a variety of lab-on-a-chip devices. She developed a number of application specific and high-throughput-attempting micro fabrication methods during her time at JBEI that let to a patent. Her microfluidic roots are based in Hui lab at UC Irvine where she developed microfluidic digital logic circuits for on-chip automation of lab processes which let to multiple publications, presentations and a national award. Microfluidic digital logic is an emerging technology which can be useful to automate a variety of lab processes in order to bring lab tests and diagnostics to low resource settings where it can be difficult to establish expensive and advanced labs . Microfluidic digital logic derives its concept from the digital logic in electronics and aids to automate complex liquid handling processes. The basic logic circuits are designed using valves and pneumatic resistors in a way that can be used to pump fluid around in the chip in order to transport the fluid or to mix it or store it. Automation of such basic aspects of a microfluidic device can help to eliminate the wieldy machinery that is required to drive a microfluidic chip. For example the computer program, mechanical/electrical pumps and syringe pumps can be replaced by on-chip pneumatic logic circuits. The heart of this work is a serial dilution circuit which has been previously reported in detail . The logic blocks designed around the dilution ladder do the job of selecting the program, pumping the diluent and making sure all the logic signals are routed correctly without any leakage or impeding attenuation. The circuit that receives and routes all other signals incorporates a feature to check the quality of dilution, the feature is called the venting network. This network uses the logic of its host circuit to vent appropriate valves during the corresponding cycle of dilution in order to avoid leakage and maintain optimal speed of dilution. This work demonstrates engineering of solutions around the challenges associated with large scale integration of complex microfluidic technologies. This technique can prove to be useful for many other challenges involved in design as well as application of microfluidic lab-on-a-chip devices. 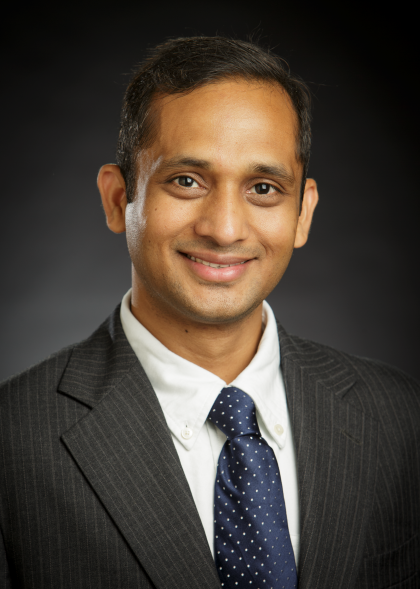 Dr. Prem Bikkina is an Assistant Professor in the School of Chemical Engineering, OSU, Stillwater. He has B.S. and M.S. degrees in chemical engineering and Ph.D. degree in petroleum engineering. He worked as a postdoctoral fellow at Lawrence Berkeley National Laboratory. He also worked in various chemical and petroleum industries. His research work on enhanced hydrocarbon recovery, geological sequestration, and multiphase separation resulted into high impact journal publications and patents. He has been a peer reviewer for more than 16 international journals, ACS PRF and DOE proposals. Dr. Bikkina received ‘2016 Outstanding Reviewer Award’ from the Journal of Environmental Chemical Engineering. He received ‘2016 SPE Mid-Continent Regional Service Award’ and ‘2017 SPE Distinguished Petroleum Engineering Faculty Award’. He is a professional member of SPE, AIChE, ACS, and ASME. In recent years, microfluidics has been gaining acceptance for the fundamental and applied petroleum engineering research. The major advantages of using microfluidics include flexibility in porous media and other related chip designs in a highly controlled and reproducible manner, easy and accurate control of fluid flow, and most importantly the ability to visually study the involved fluid distribution and displacement mechanisms both at pore and chip scales. The recent advancements in manufacturing techniques made it possible to prepare microfluidic chips that could replicate various pore-scale features of real porous media, and other patterns that are of relevance to petroleum engineering applications. However, a major limitation for the application of microfluidics for subsurface multiphase fluid flow and reactive transport is the dissimilarity in the physicochemical aspects of the real porous media and microfluidic solid surfaces. This presentation discusses the state-of-the-art of the surface modification techniques currently being used in geo-material microfluidics. 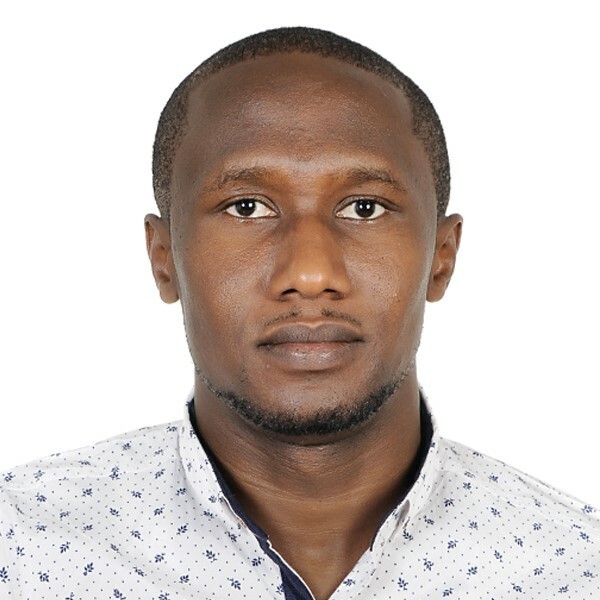 Oladayo Ogunyinka has completed his masters degree in mechanical engineering at the age of 22 years from the University of Sheffield, UK. 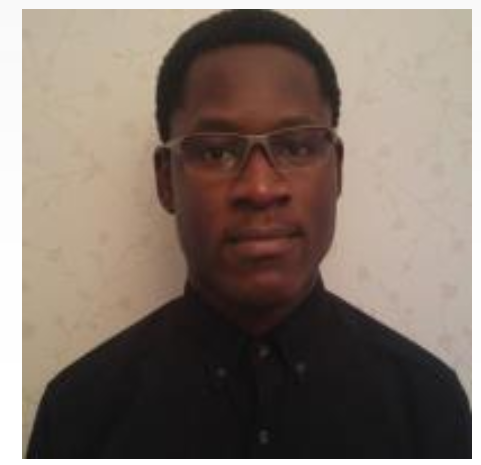 He is currently a research student in microfluidics and plasma field at Loughborough University, UK. Atmospheric-pressure plasmas has increasingly been studied for their potential in many applications, such as water treatment, generation of reactive species, biological applications, and material synthesis . This study involves the use of atmospheric-plasma in microscale to transfer plasma reactive species to organic liquid via microbubbles gas-liquid interface. Hence, plasma interaction with microbubbles is a topic to investigate. Huzaifa Umar has completed his Masters at the age of 26 years and PhD Studies at the age of 32 from Cyprus International University, Lefkosa, Turkey. 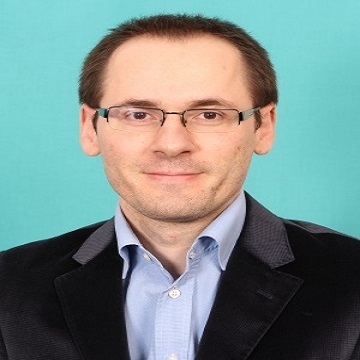 He is the assistant director, biotechnology research center, Cyprus International University. He has published more than 15 papers in reputed journals. Biocompatibility and stability of zinc oxide nanoparticles (ZnO NPs) synthesized using plants is a promissing research area of study in nanotechnology, due to its wide applications in biomedical, industrial, cell imaging and biosensor fields. The present study reports the novel green synthesis of stable ZnO NPs using various concentrations of zinc nitrate 0.01, 0.05, 0.1 M, and Albizia lebbeck stem bark extracts as an efficient chelating agent. Antimicrobial, antioxidant, cytotoxic and antiproliferative activities of the synthesized nanoparticles on human breast cancer cell lines, were evaluated using different assays. The UV-vis spectroscopy result revealed an absorption peak in the range of 370 nm. The involvements of A. lebbeck bioactive compounds in the stabilization of the ZnO NPs was confirmed by X-ray diffraction (XRD) and Fourier transform infrared (FTIR) analysis. Zeta sizer studies showed an average size of 66.25 nm with poly disparity index of 0.262. Scanning electron microscope (SEM), Energy-dispersive X-ray spectroscopy (EDX) analysis results, revealed irregular spherical morphology and presence of primarily Zn, C, O, Na, P and K respectively. The biosynthesized ZnO NPs revealed strong antimicrobial potentials against various Gram negetive and Gram positive bacterial pathogens. Antioxidant activities carried out using H2O2 free radical scavenging assay revealed higher IC50 values of 48.5, 48.7 and 60.2 μg/mL for 0.1 M, 0.05 M, 0.01 M ZnO NPs respectively. Moreover, the biosynthesized ZnO NPs showed significant cytotoxic and antiproliferative effects on MDA-MB 231 and MCF-7 breast cancer cell lines in concentrations dependent manner.